This is a short loop trail through a cedar-spruce ecosystem. An interpretive sign which describes the vegetation and wildlife along the trail is located near the start of the trail. 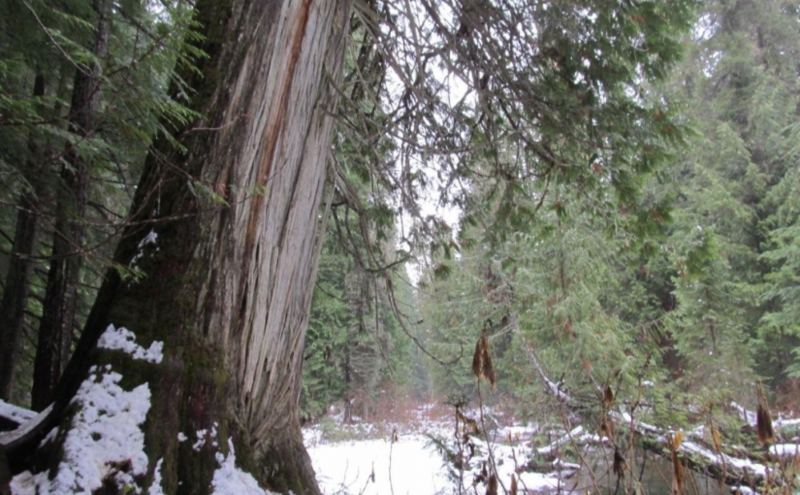 This trail is actively used by bears; large hollow cedar trees have provided den locations in the past. Please stay on developed trails and treat the area with care. Trail may be closed seasonally due to Black Bear activity. Great one for kids. 15-30 minutes. Driving Directions: Head west from kaslo on highway #31A for 28.6 km (measured from downtown Kaslo) to the old settlement of Retallack. On the west side of the settlement, turn left onto a dirt road and immediately cross over a bridge. The trail starts on the right hand side of the road immediately after the bridge. Road is also marked with a Big R sign for Retallack catskiing lodge. Wensley Creek Cross Country Ski Trails offer 9 kilometres of groomed classic track skiing for both beginner and intermediate skiers. The trail is usually ready for skiing by mid-late December, and the season extends through to late March, with variable conditions throughout the season and even along different sections of the trail. Bringing a variety of waxes is recommended. Horseback riding, hiking, and mountain biking are available in the off season. Driving Directions:Head south from Nakusp on Highway 6 toward Nelson for about 4 kilometres, Turn left on Upper Brouse Road and follow it to the top through a series of turns until reaching the parking area for the trails. This trail follows an old wagon trail and railroad constructed by the A.G. Lambert Lumber Co. Ltd. between 1919 and 1930. The trail provides access to the old mill site and opportunities for ridge-top hiking. The Westside loop is a cross country ski loop. It is rough and not suitable for hiking or riding. 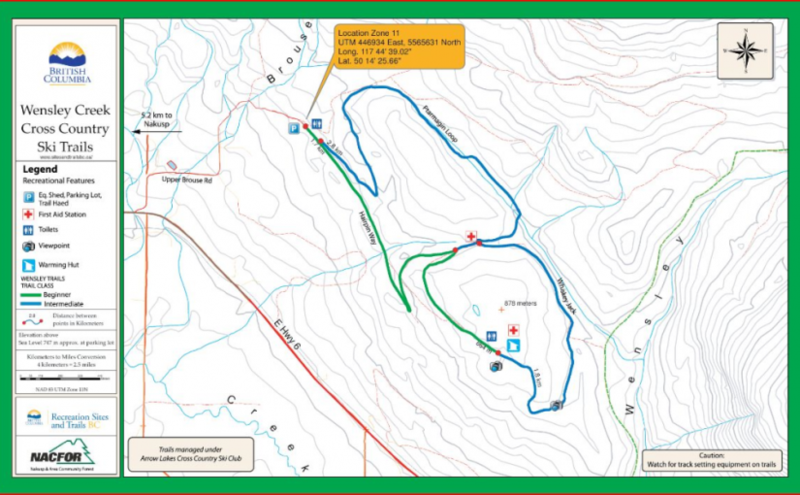 The east fork trail is a short 1.5 km (one way) trail of moderate difficulty. 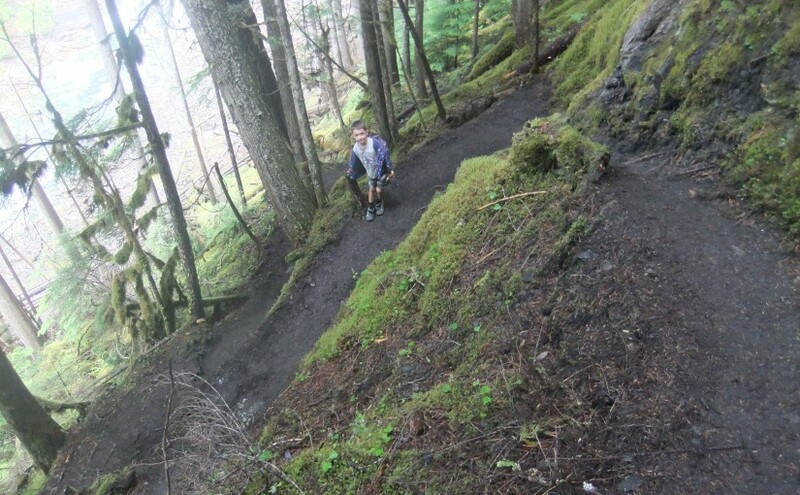 The gentle slope of trail gives it an “easy” rating, although there are some rough sections. The trail is used by mountain bikers, horseback riders, hunters, cross-country skiers, and hikers. Driving Directions:From the community of Nelson, head west along highway #3A for 11.3 km to Sproule Creek Road. Follow this road for 4.0 km to the parking lot. The trailhead is located approximately 100 m up a private drive on the west side of the creek. This road is suitable for 2wd vehicles. A steep hike down to a cool, mossy waterfall. Wilson Creek Falls is considered one of the most spectacular waterfalls in British Columbia, plunging 207 feet. The hike is 2.2 km round trip. Trail is fairly flat for first 500 m and then drops down to the base of the falls. Plan on about 3-4 hours return trip from highway turn-off. Directions: Head 5.3 km north of New Denver on Highway 6. Turn east ( right ) on East Wilson Creek FSR 11.5 km ( rough gravel road ) and then turn right just before bridge over Wilson Creek at turnoff signed for Wilson Creek Falls. A 4X4 road climbs 1km to trailhead or high clearance 2wd in 2015. Very popular as a ski touring destination. Typically about one hour ski tour to the cabin with no avalanche danger. There are a few tours accessible from the cabin including Baldy Rocks, Lightening Strike and Ripple Peak/Twin Lakes and lots of yo-yo skiing in moderate terrain. Site Description: The Ripple Ridge Cabin can be booked by going to www.rippleridge.ca There is a $10 fee per person for overnight use of the cabin. 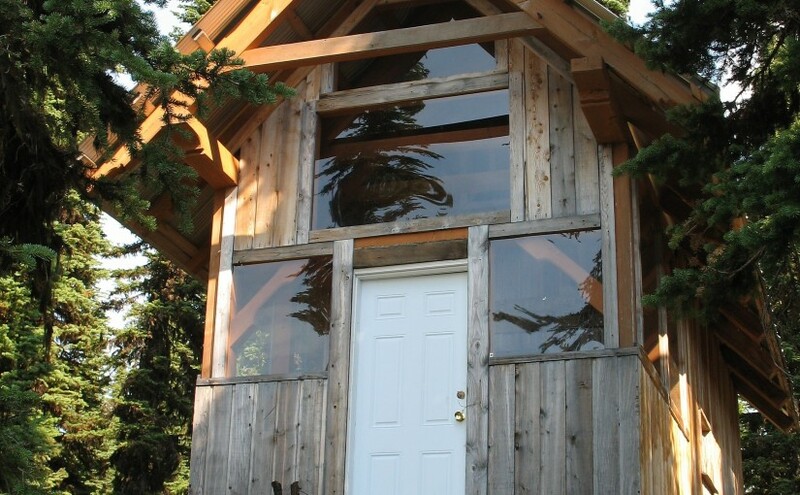 The cabin contains a wood stove, tables and benches, and a sleeping loft. It can sleep 6 comfortably, and 10 in a squeeze. Please note that no motorized vehicles are allowed on this road in the winter. A picnic table and fire ring were added in October 2010. Driving Directions: From Salmo take Highways #6 and #3 southeast for 37 km to Stayleep pass at Bridal Lake. Park in the plowed area on the left side of the highway. From the junction of Highways #3 and #3A north of Creston take highway #3 northwest for 42.5 km to the pass at Bridal Lake. Park in the plowed area on the north side of the highway. From the parking area, cross the highway towards the south. The gravel road accessing the cabin begins immediately to the right of the Highway’s maintenance yard. Take this road 3.2 km to the top of the ridge where it levels off and before it drops into the next valley. Look for the trail into the cabins on the right at this point. The old cabin lies about 200 metres from the access road, and the new cabin about 100 metres further. high clearance 2WD required. Winter Access: Park in the parking lots on the north side of the highway and cross the highway on the west side of the parking lot to access the summer road. Follow the trail up until it levels off and before it drops into the next valley. Look for the trail into the cabin on the right at this point. This is a trail providing access to an alpine plateau with spectacular views of the surrounding peaks. The sensitive alpine plateau is intended for day-use only. Primitive campsites are provided at the end of the trail below the plateau. This area provides good hiking , camping, excellent viewing, and nature study opportunities. Driving Directions: From Cooper Creek, head north on the Duncan River forest service road for 10.0 km to the Glacier Creek road. Follow the main Glacier Creek road for 37.4 km(keep right at the 23.4 km junction) to a fork in the road. Take this left fork for 5.5 km (keeping right at the 1.7 km junction). The trailhead is on the left. The roads are suitable for 2wd high clearance vehicles. 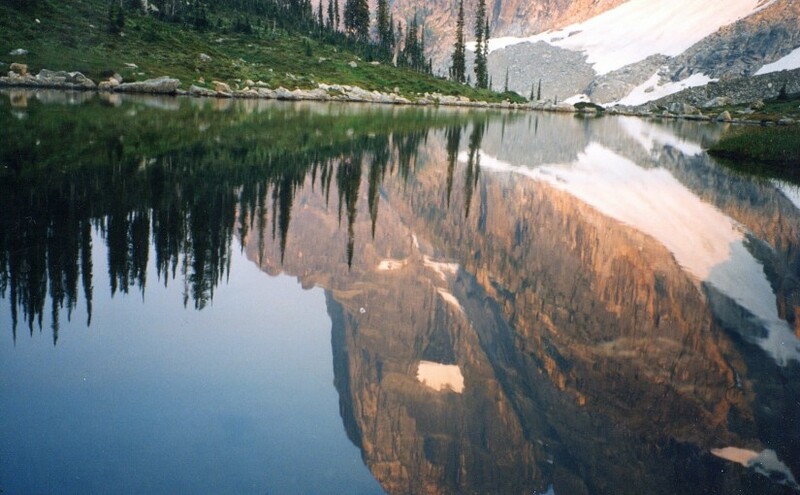 Two Options: Bannock Point and Bannock Lookout. Bannock Point, on the shores of Slocan Lake has special appeal. Walk-in camping is accessed via a 700 meter (1/2 mile), moderately steep trail. A small day-use area and 20 campsites are spread out along the treed and rocky lakeshore. There are also a few campsites located at the parking lot. Early in the morning expect to see eagles and osprey fishing. A small pebble beach catches the afternoon sun. 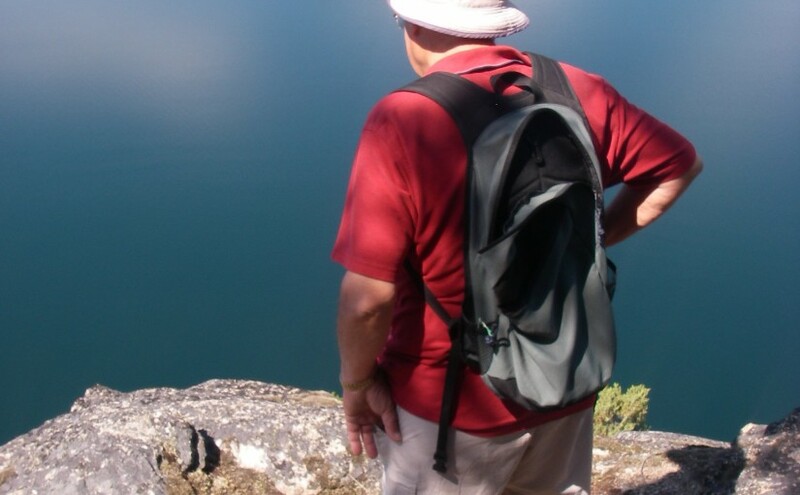 A summer day can easily be whiled away diving in the clear water of Slocan Lake or sun bathing on the huge boulders. A favorite campsite for younger groups from Nelson and Castlegar with relatively short access. 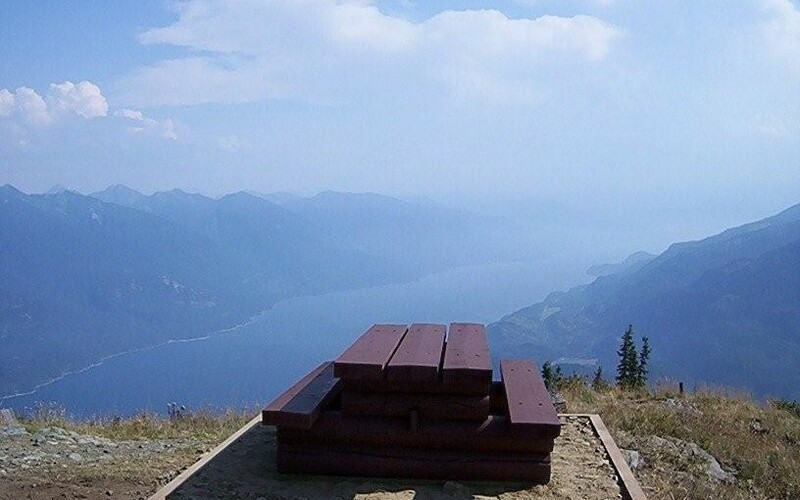 Bannock Lookout Trail, is accessed from the same parking lot but instead of dropping down the lake follows a beautiful forest ledge system out to a series of incredible viewpoints. 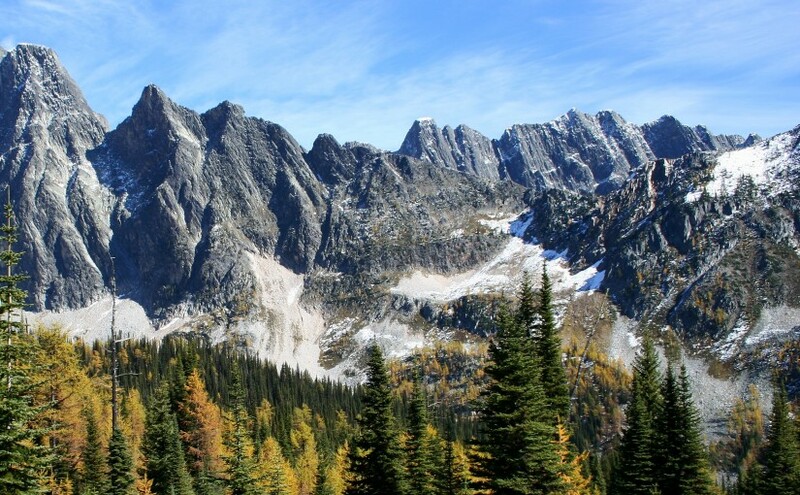 This is one of my favorite hikes in the Slocan Valley. The trail is about 45 minutes each way with always something different along the trail ending at a 300 ft rock cliff looking south down the Slocan Lake. From the parking lot head straight south. There is a good map board at the parking lot. There are no signs to the trail from anywhere before you get to the parking lot (2015). Driving Directions: Road Access: From the bridge on Highway 6, in Silverton, travel south along the highway for 4.5 km. Turn right off the highway at the “Bannock Point Trail” sign ( no sign present 2015 ). It is about 3/4 km from the highway to the parking. Access the parking via the lane on the west side of the gravel pit. If you are driving a vehicle with a long wheel base, or towing a trailer, park at the gravel pit and walk down the road to the trail head. Otherwise, you can drive past the gravel pit to the trail head. Park only in designated parking areas to avoid erosion, compaction, and damage to vegetation. Boat Access: From Silverton’s public boat ramp, travel south along the east shore of Slocan Lake for about 4 km. Look for a sheltered bay and the “Bannock Point Recreation Site” sign on the beach.